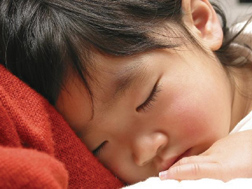 Find out how several common childhood sicknesses are diagnosed and how to treat them at home. Raising children means coping with a host of common childhood illnesses. There are many illnesses that you can expect your child to have, often multiple times. Many of these require only self-care at home. When you aren't sure how to cope with a child's cold, earache, stomach ache, flu or pink eye, this 29-minute health film can help. Two pediatricians, concerned parents and a nurse teach parents about how to cope with these common illnesses. In this video, a variety of experts, as well as parents, talk about common illnesses and how they are diagnosed. Learn about treatment options for each and how to reduce the risk of reinfection after your child gets better in this informative film.